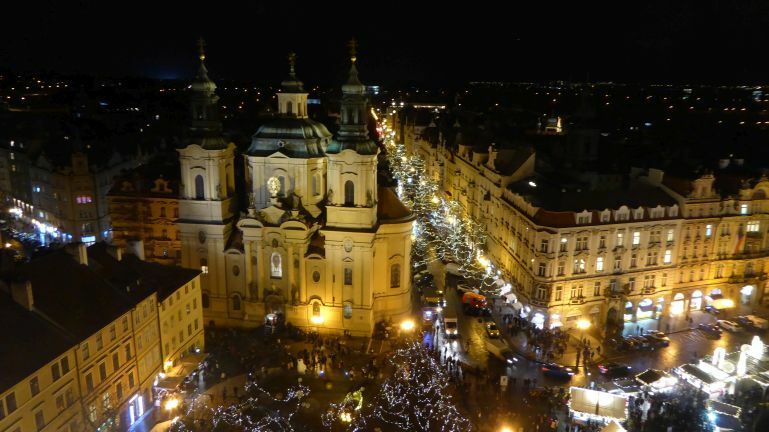 The Old Town Square as seen from above. Despite it was well after dark, you could climb the clock tower in the old town hall. (Well, not really "climb" – there was an elevator.) It was actually very popular and it was quite crowded up there. Overall, there were plenty of tourists in Prague this weekend, of which some might be attracted by Christmas market going on the square.